Ski-in/ski-out is the way to go in Park City. There's a gondola right outside and ski valet ready and waiting. Sit back and let the massage jets do their job while the kids play Marco Polo in the heated pool. Indulge your inner child and delight the actual kids. Winner picks dinner. Socialize by the fire or park yourself in a cushy wingback chair with the latest bestselling paperback. Modern suites are equipped with enough beds so no one gets relegated to sleeping bags on the floor. Set your alarm so you don't miss the fresh powder at Canyons Ski Resort and Cabriolet Lift, a 6 minute walk from the resort. The outdoor heated pool is a great pre-dinner activity. A soak in the outdoor hot tub is the perfect way to unwind after a day on the slopes – the resort has two. Get your sunscreen and snacks ready. Round Valley Trailhead is just a 14 minute drive from the resort. Book a tee time at Canyons Golf, just a 3 minute drive away. 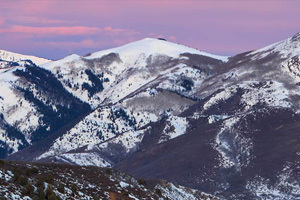 Park City has long been known as a top American ski destination – a fact further confirmed by the union of Park City Resort and Canyons Resort, creating the country’s largest ski area! With over 7,000 skiable acres and 300 inches of annual snowfall, it’s no wonder this quaint Utah town once hosted the Olympics. So if you’re here to hit the slopes, your crew will be totally stoked you booked a suite at the ski-in/ski-out Wyndham Park City. With Aloha Ski Rentals onsite and the Frostwood Gondola just steps from the lobby, your crew will be ready and mountain-bound in no time. You’ll have easy access to the Canyons runs, plus you can take an interconnecting lift to check out the Park City side of the mountain. Or if you’re feeling extra-adventurous, you can actually ski or board from one village to the other – it takes about an hour. After a long powder day, your crew will return to your suite tired but happy, and grateful to have a homey slopeside crash pad. There are several nearby dining options, but for nights you feel like staying in, whip up some comfort food (hooray for en suite kitchens!). Request a show of hands for hitting the outdoor hot tubs before you start your movie and meet at the door wrapped in towels for the speed-walk over. Soothe your tired muscles (proof that you worked hard out there) as you swap stories of the day’s adventures and start planning for tomorrow’s. The spacious suites at the Wyndham are classy, clean and modern. Chic furnishings, tall ceilings and cushy couches create a space that’s both homey and hip. Each one- and two-bedroom suite has a spacious living area – complete with gas burning fireplace and flat screen TV – which opens onto a private balcony. Sip après cocoa with your crew gathered round the fireplace and compete for best whipped cream moustache, or take your nightcap onto the balcony and look for shooting stars. In-unit laundry, a full kitchen and sleeper sofas make this a primo destination for extended stays and larger families and friend groups. Park City’s renowned Main Street – bursting with various art galleries, coffee houses, shops and dining options – is just a five minute drive from the Wyndham. But if you feel like staying close to your home-base, one of Utah’s top ten restaurants, The Farm, is located right in Canyons Village. Reserve a night for savoring their farm-to-table dishes paired with just the right selection off their award-winning wine list. In the mood to be pampered? The Park City Boutique & Spa is just across the street. When you and your crew want a break from the ski resort, take an afternoon to explore the nearby Utah Olympic Park for extreme tubing (year round! ), freestyle sessions, ropes courses – you may even catch a bobsled tournament!